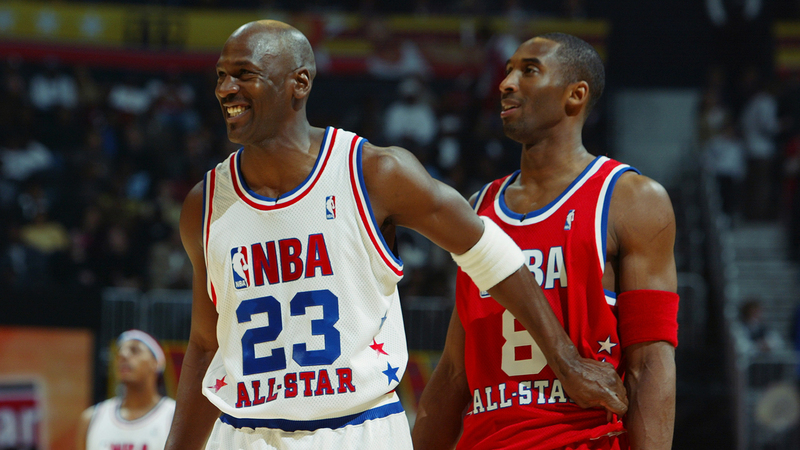 The "rivalry" between Michael Jordan and Kobe Bryant is kind of a funny thing. When you sum it all up, it’s really Bryant chasing after Jordan, trying to top him. The relationship between the Chicago Bulls Hall of Famer and the Los Angeles Lakers superstar is fraternal in a lot of ways, big brother vs. little brother stuff played out on the highest level. Some of the highlights before Jordan got to Bryant: His Airness would take Dean Smith over Phil Jackson if he had to win just one game. So now there’s an answer to who would have coached the Tune Squad in "Space Jam," which is nice. Jordan also called Larry Bird the biggest trash-talker he ever played against — "good trash, though, not dirty trash," — and said that as much as Shaquille O’Neal believes the all-time Lakers team would beat the all-time Bulls team, Jordan’s just as convinced the opposite would be true. And, of course, the quote that’s getting major play on the Internet is Jordan’s take that he would beat LeBron James one-on-one in their primes. Although he later admitted that he expects James would believe that he could take Jordan one-on-one; it’s the nature of being such a competitor. "I like Kobe, we talk a lot, I hope he comes back healthy. I think he’s one of the great players of the game, I think he’s done a lot for the game, and he has a true love for the game of basketball. I absolutely have high regard for Kobe Bryant. "Even though he stole all my moves, but that’s OK. I still love him like a brother." You know what they say, MJ. Imitation is the sincerest form of flattery.